I don’t know about you, but I’ve still been feeling the push/pull of wanting to jump into the new year and also wanting to hibernate and scan the landscape of my inner Being. This time of year is so rich with the energy to go deep within, to heal, to nurture the seeds that have been planted with thoughtful, quiet care. 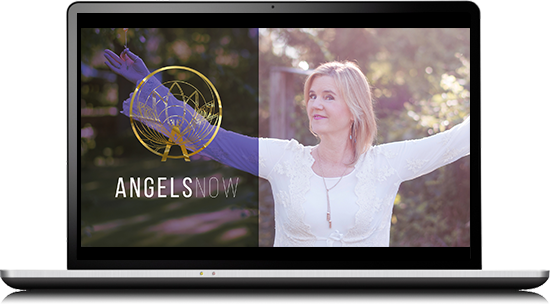 Many years ago, I wrote a series of emails on “The Sneaky Ego Tricks” that really hit home for a lot of earth angels and I am being guided to resurrect them. It seems the more distractions that present in our modern world, the stronger the hold of the ego – unless, of course, we choose to take a different path. To be honest, I don’t really like the idea of sharing this piece I wrote 5+ years ago, because I’ve changed so much since then that it doesn’t really sound like my voice. But this isn’t about me. It’s about the deeper guidance and trusting that THIS is what YOU need to hear today. Please enjoy Exposé – Sneaky Ego Trick #1, first published on September 24, 2013. And please do let me know how this resonates for you. I’d love to hear from you! There are moments I just want to smack the whole darn group upside the head. Because we get tangled up in the mind and what we think we’re supposed to do, rather than trust what we already know. And we do – already know. This is why we’re the Lightworkers. Enter, the ego. Nemesis of that inner knowing. Sneaky Ego Trick #1: the ego LOVES to make things complicated. Inspired by fear, the ego takes situations in life and wraps them in a cocoon of steps, conditions, and pre-requisites that must be met in order for us to feel the blessings of the life we’re destined to live. We, the Lightworkers of the world, excel at this mostly because our mission here is big. That can feel scary. But we have work to do. our lives will be transformed and we will FINALLY live the lives we so desperately want. We do these things and believe them – most of the time – because someone else told us to. And we don’t even consider questioning it. We give away our power and ignore our own inner authority. Several years ago, I made a New Year’s resolution to be vegan, because a favorite and well-respected teacher told me I needed to. I did the research and was careful about what I ate and supplements I took. After shivering my way through February feeling weak and depressed, I realized that with the hormones changing in my body, I needed a certain amount of meat in my diet. Not a lot, but some. Suffice to say, I have my own scars from listening to others rather than my own angelic intuition, my heart. Thankfully, that is more iéén the past than the present. So sweet one, how DO you create lasting change and a life you adore? Respect your own needs enough that you listen to your heart, follow the inner guidance of your angels and do what truly feels right to you body, mind and spirit. If it’s not 100% clear, ask your angels to make the right answer for you obvious. Your path may lead you to become a vegan, feng shui advocate, or a yogi. It may even lead you to your soul mate or heal a chronic illness. You may mindfully, and with great heart and respect for the animal, eat meat as guided. The answers will be unique to you. One thing I know for sure… you will be led to happiness. May you learn to trust the inner wisdom of your heart and take only what feels right when you are absorbing knowledge from others, whoever they are. May you realize that this world needs you to love yourself almost as much as your soul needs you to love yourself. May your angels guide you down the path that has been created for you and is unique to your destiny and your calling. May you trust that only you are the expert of You!